Researchers create cerebral organoids in 3-D–printed bioreactors that can be used to model Zika infection. 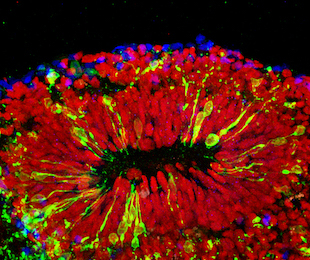 Brain organoid infected with Zika virusJOHNS HOPKINS UNIVERSITY, XUYU QIANScientists continue to develop new methods to study Zika virus infections in vitro. Researchers at Johns Hopkins University have now created realistic brain organoids inside miniature, 3-D–printed spinning bioreactors. By infecting the mini brains with the virus, the researchers showed that it preferentially infects neural stem cells during the first trimester of pregnancy, according to the study published today (April 22) in Cell. 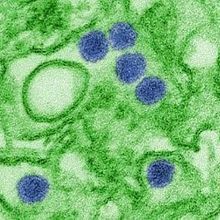 “The data from the Zika virus really highlights the power of this model system where we can study different stages of the disease and look at the mechanisms behind infection,” study coauthor Hongjun Song of Johns Hopkins said in a statement. Song, his wife, Guo-li Ming, also of Johns Hopkins, and their colleagues designed the 3-D–printed mini bioreactors, and used them to grow organoids from human stem cells mimicking three brain regions: the forebrain, midbrain, and hypothalamus. The idea for the bioreactors actually came from three high school students working in the lab, including the couple’s son, according to a press release. 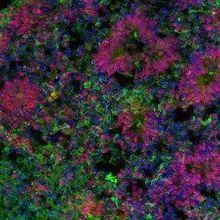 The resulting organoids were more cost-effective and uniform than those developed by other methods, and recapitulated many features of human brain development, including forming distinct cortical layers and expressing neuron-specific genes, the team reported. Next, the researchers infected the forebrain organoids with Zika, to model the virus’s effect on developing fetuses. The virus preferentially attacked neural progenitors, killing cells and reducing cell layer thickness, as is seen in microcephaly. 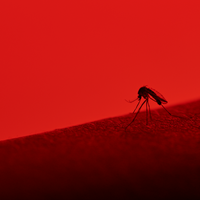 “The organoids are much smaller and they’re not generating neurons efficiently when they are infected with the Zika virus,” Ming said in the press release. 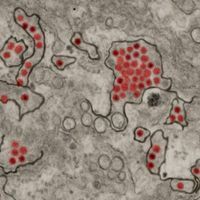 Does Prior Dengue Exposure Help or Hurt a Zika Infection?